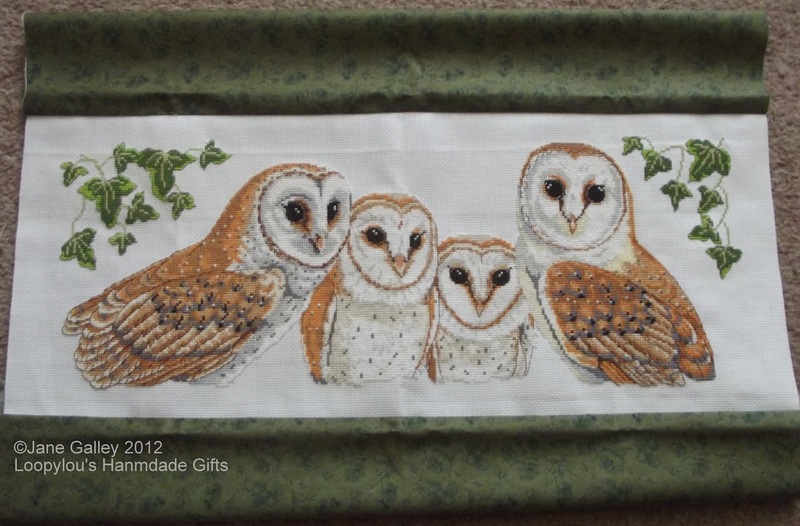 The fabric arrived, and I had some time to make progress on the owls. They've been trimmed and fabric added. I had thought I'd make a cushion cover. It would be a large cushion, but that doesn't matter. We like large cushions, but then I had an idea. What about a wall hanging? 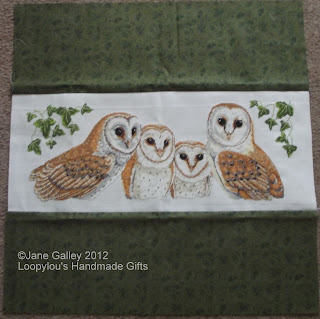 Now, I don't know what to do, a cushion, or a wall hanging? I have until the batting comes to decide. 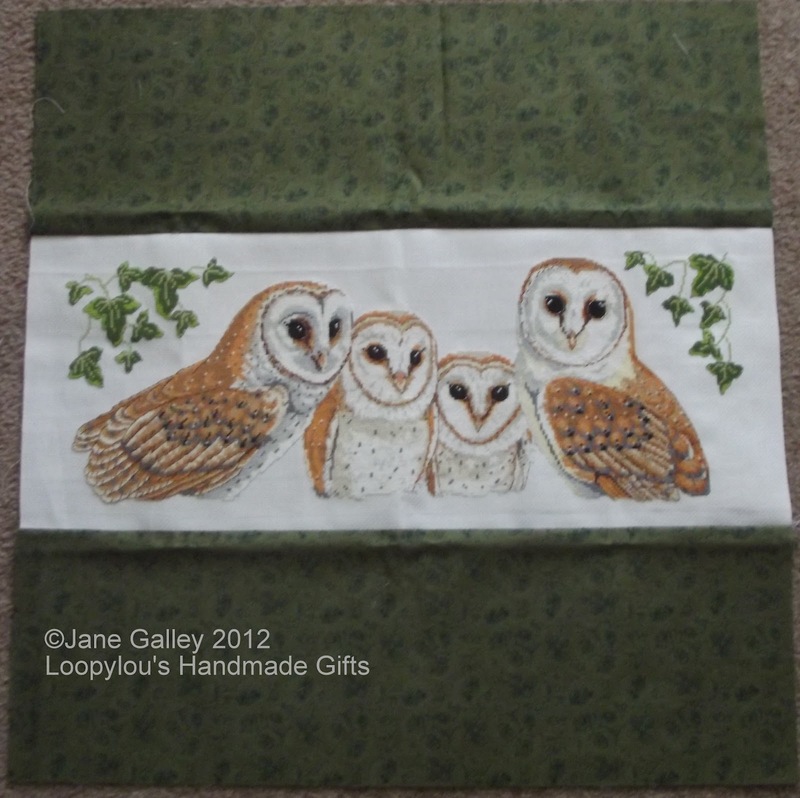 It would look lovely as a cushion, but a wallhanging would be gentler on all that beautiful stitching. Great fabric choice. I'm definitely leaning toward wall-hanging, but probably depends on your own space and display area. If you and your son have enough free space on the wall, I would say a wallhanging. A cushion is also possible, but of course you know that already. I'm in the wall hanging camp. 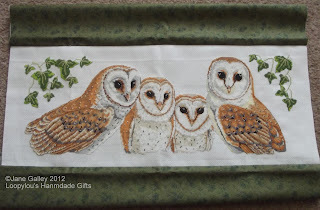 I love the fabric you added and I lean toward a wall hanging if you have room to hang it. Wall hanging! These owls are just stunning! Great job and I cannot wait to see how you dress them! That fabric is absolutely perfect! Wall hanging!